It’s not too common that a supplement is released with one key ingredient. So in the rare occasion that something like this actually happens, we must admit that we have quite high expectations for the product. 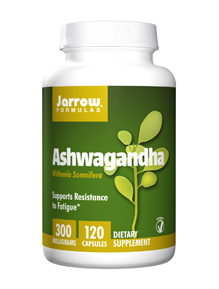 Jarrow Formulas has released a supplement with 300mg of pure Ashwagandha – a famous ancient Indian herb that has been used to treat countless of diseases through the eras. Recently, however, scientists have begun pointing out the calming effects that Ashwagandha brings to the brain, and how beneficial this may be to maintain mental health, reduce fatigue or even increase cognitive abilities. So just how good is this stuff? Each pill contains 300mg of Ashwagandha. This ancient Indian herb has been used to treat a variety of health issues ranging from arthritis, trouble sleeping, tuberculosis, chronic liver disease, etc. The compound works by soothe and calm the brain, which reduces blood pressure and inflammation. For this reason, it is believed that Ashwagandha may act as a nootropic. When anxiety levels are reduced, our brains work better and can retain more information. However, there hasn’t been enough evidence from clinical studies to back up any of Ashwagandha’s potential benefits. “Herbal Supplements have different effects on different individuals. Ashwagandha is considered an Adaptogen. If you need to be calm it acts in that way, need sleep it may cause sleepiness. For me though it acts as a stimulant. I’ve waited 3 weeks to write this review to see if I develope a tolerance and if it would stop working. The answer is no. For me Ashwagandha has had an enervating effect. I take it in the morning and find myself much more energetic, my mood is elevated, I’m not tired and my productivity at work has increased. I find that I’m more focused and my thought processes are dead on. I also find it makes me a little more aggressive. Possibly it’s the extra energy. Consult with your Dr if you suffer from Depression, Bi Polar Depression or Narcolepsy, about adding Ashwaganda to the mix. And it’s your choice to accept or ignore the Dr’s advise. Traditional Doctors don’t understand Botanical Supplements.Web Md has a list of interactions with different medicines. I’d like to add that I have not found Ashwagandha to be sedating at all. In fact the one time that I took it in the evening I didn’t sleep very well that night. It may upset some individuals stomachs especially if taken on and empty stomach and if this symptom materializes,try taking with food. You can buy a bottle of Jarrow Formulas’ Ashwagandha on Amazon.com, iHerb.com or through the official website. A standard bottle contains 120 capsules and comes at a price of approximately $14 depending on which platform you choose to buy the product from. The recommended dose is 1-2 capsules a day, meaning that a single bottle could last up to 2 months. Although this price may seem very cheap, please keep in mind that the product only contains one ingredient, which makes the price just right. To be frank, we cannot guarantee that a single ingredient could change your life for the better by significantly reducing fatigue and improving overall health. However, we can tell you that the product has worked wonders for some customers by giving them greater starts in the morning and a fresher feeling throughout the day. If you are intrigued by the product and think the price is worth a shot, then feel free to purchase a bottle while taking our advice into account.